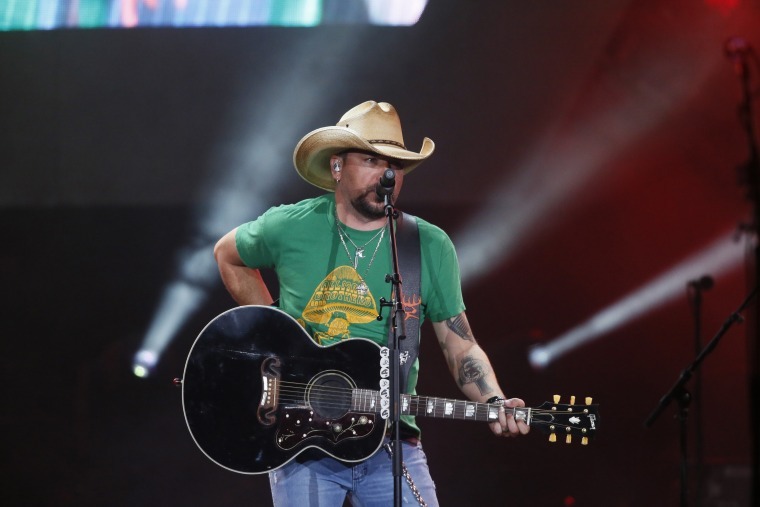 TULSA, Okla. — Country star Jason Aldean brought the party back Thursday in his return to the stage following the deadly mass shooting that broke out while he was performing in Las Vegas, but the fun was tempered by the sting of the tragedy. The singer visited shooting victims still in a Las Vegas hospital Sunday. The day before, Aldean performed Tom Petty's "I Won't Back Down" on "Saturday Night Live" in tribute to the victims and the late rock superstar.